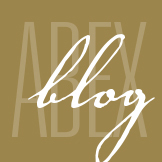 June 2018 - ABEX Affiliated Brokers Exchange Inc.
On June 19, 2018, in a vote of 52 to 29, senators passed Bill C-45 (the Cannabis Act), paving the way for legalized, recreational marijuana. This makes Canada the second country in the world and the first G7 nation to implement federal legislation that legalizes recreational marijuana—a projected billion-dollar industry. The vote lifts Canada’s 95-year ban on cannabis, which, in turn, allows millions of Canadians to smoke, ingest or grow the drug without fear of a criminal record. Following the recent vote, recreational marijuana will go on sale Oct. 17, 2018. The current bill requires an eight- to 12-week delay before the law goes into effect, allowing provinces time to prepare. The October live date provides a 17-week buffer. The federal government originally intended both houses of Parliament to pass the Cannabis Act by July 1, 2018. However, that timeline was pushed back after the Senate requested more time to review the bill. During its review, the Senate proposed 46 amendments, with the Liberal government rejecting 13 proposed changes. Many of the major concerns expressed by members of Parliament related to keeping marijuana away from children, addressing organized crime and limiting traffic deaths related to marijuana use. Once the bill is formally approved, those who are 18 years of age or older will be allowed to buy and grow a limited quantity of marijuana for personal use. 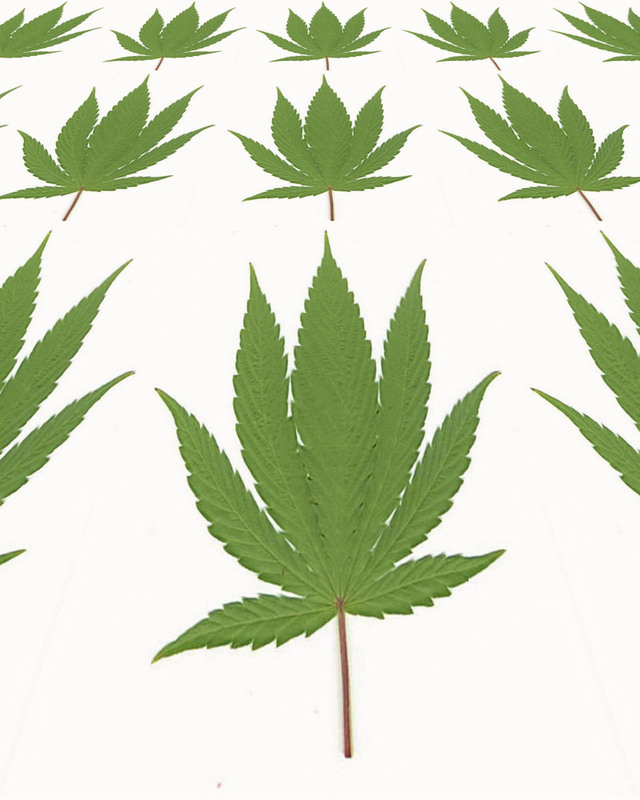 Specifically, those of age can possess up to 30 grams of dried cannabis in public, share up to 30 grams of dried marijuana with other adults, and buy cannabis or cannabis oil from a provincially regulated retailer. They also will be allowed to cultivate up to four plants in their households and prepare products such as edibles for personal use. Consumers will be expected to purchase marijuana from regulated retailers or federally licensed producers. Marijuana will not be sold in the same location as alcohol or tobacco. While the legalization of recreational marijuana is projected to have a positive impact on the economy, it will likely create new challenges for employers. To learn more about the Cannabis Act and ways to address marijuana usage in the workplace, contact your insurance broker. Your customers expect you to have safe and reliable products, and failing to meet these expectations can lead to huge financial losses. If one of your products hurts a customer in any way, they can sue your business, leading to costly legal fees and settlements that can easily reach six figures. This legal concept is referred to as product liability, and litigation of this kind is becoming more and more common. While you may do everything in your power to ensure that your products are safe for the public, mishaps can still occur without warning. That’s why, to protect against claims and ensure the longevity of your business, you need a product liability prevention program. Above all, establishing a product liability prevention program helps businesses produce goods that are reasonably safe when used as intended. What’s more, an effective program can help your business reduce accidents and product recalls while enhancing your position in the market. While product liability prevention programs differ from business to business, the key elements remain the same. When building a program, consider the following. When it comes to reducing product liability exposures, management must play an active role. In fact, in order for risk management strategies to be effective, an organization’s commitment to product safety must come from the top down and be effectively communicated. As part of their job responsibilities, leadership should weave product safety into company planning as well as operational and control activities. Doing so establishes a holistic program that encompasses all phases of the product life cycle, including the initial design, manufacturing process and final sale. The majority of product liability claims stem from problems with design. Things like improper materials, non-compliance with safety and industry standards, inadequate warnings and product defects are all design issues that can lead to litigation. As part of a product liability prevention program, your organization must focus on designing products that are reasonably safe during foreseeable use, unforeseeable use, service and maintenance. Reviewing design safety is an ongoing and evolving challenge for businesses. You will need to re-evaluate your designs based on technological advancements, recent court decisions and public expectations. You will also need to make hazard analysis techniques a part of every design review, taking into account destructive and prototype testing, reliability studies, accelerated life cycle testing and safety audits. Warnings help educate consumers on the unsafe use of a particular product or identify specific hazards. Warnings should be consistent with any industry standards and practices. Instructions provide directions for the proper and safe use of a product. Write these instructions clearly and in a way that’s easy to understand. To create these warnings and instructions, you will want to involve multiple parties, including design and legal personnel. It should also be noted that warnings and instructions are not an adequate substitute for safer designs and should only be used to address unavoidable dangers and hazards that cannot otherwise be eliminated. Quality control is critical when it comes to detecting and preventing product safety hazards. Quality control measures will differ depending on the complexity of a particular product but must extend to all phases of the manufacturing process. Essentially, quality control should be implemented at every stage of product design to ensure no item leaves your worksite unchecked. While you must maintain a strict standard of product safety throughout the entire life cycle of a product, you also have to take sales and marketing into consideration. In fact, the way a particular product is positioned to the general public can have a great effect on customer expectations and the way a specific product is used. In terms of limiting product liability, sales and marketing initiatives should highlight product features, uses and limitations of note. Your sales and marketing team should have a good understanding of basic product liability concerns to help minimize potential exposures. They can even use this information to better position your product and set clear expectations relating to consumer usage. One effective way to reduce liability concerns is to ensure that the raw materials you use to design your product are properly sourced. That’s where vendor management comes in. Strong vendor management practices help companies find qualified vendors and acquire quality product components, often at a competitive cost. Working closely with your design, manufacturing and quality control teams, vendor management personnel can help ensure consistent compliance with design specifications. Moreover, together with your quality assurance team, vendor management should regularly evaluate the capabilities and reliability of suppliers. To further enhance your product liability prevention program, it’s crucial that suppliers of key components have their own contracts and insurance policies to help address any exposures related to defective supplies. Another legal consideration to keep in mind is document control. Effective documentation is important when demonstrating the level of care your organization takes when designing, manufacturing and selling safe products. Document control procedures should be based around company policies, management analysis, regulatory requirements and recommendations from your legal counsel. When creating a document control procedure, it’s important to keep things like storage, protection and retrieval in mind. 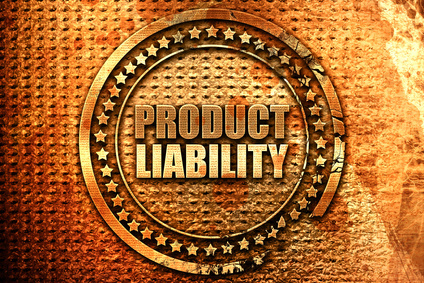 At a minimum, documents that relate to product liability loss control should be retained for the expected life of the product (or its design), plus the longest statute of limitation. Field service refers to a number of after-sales activities and can include things like installation and repairs. Because field service staff often interact with your customers one-on-one, they can provide a number of valuable insights. In particular, field service personnel often hear about product issues, incidents and complaints first-hand. They may even witness product misuse in person, which makes field service feedback all the more important. Managing product liability doesn’t end once you’ve made a sale. In fact, post-sale management can go a long way toward reducing your exposures. Reviewing this information can help identify common trends and hazards that directly affect design, manufacturing, quality control, packaging, customer service and product messaging. Product analysis is an ongoing process—one that affects multiple departments at your organization. What’s more, poor post-sale management can directly result in expensive product recalls or worse, product liability claims. Product liability is a complex exposure, and managing your risk can be a major undertaking even if you have access to all the right resources. To supplement your risk management strategies and address specific exposures, it’s important to speak with a qualified insurance broker to review your insurance coverage. Contact your broker today for more information. The federal government recently released its 2018-19 budget. Among other important allocations, the government announced an investment of more than $600 million in data privacy. Specifically, the budget calls for $507.7 million over the next five years and $108.8 million each year thereafter for a new national cyber security strategy to help protect Canadians and their sensitive personal information. A portion of the funds—$155.2 million during the next five years and $44.5 million per year thereafter—will go toward establishing a new Canadian Centre for Cybersecurity. This centre will allow the government to consolidate its cyber expertise under one roof as well as establish a single source of advice, guidance, services and support on cyber security-related matters. Enhance the government’s ability to investigate, prepare for and respond to cyber crime. Create a voluntary cyber-certification program to help students and businesses improve their cyber security. Improve cyber security on a national level by working alongside provincial, territorial, private-sector and international partners. To learn more about these and other investments, review the government’s website on the 2018-19 federal budget. Phishing, a type of cyber attack in which hackers disguise themselves as a trusted source online in order to acquire sensitive information, is a common scam that can put your employees and business at risk. 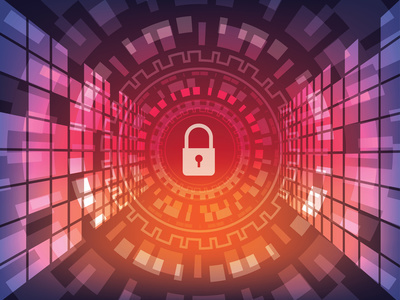 The Canadian Internet Registry Authority recently published a survey of businesses who use the .ca domain and found that 32 per cent of firms had unwittingly divulged sensitive information after falling for phishing tactics. Falling for a spear phishing attack can give a hacker access to personal and financial information across an entire network. What’s more, successful spear phishing attacks oftentimes go unnoticed, which increases the risk of large and continued losses. Never send financial or personal information electronically, even if you know the recipient well. Be cautious when you are asked to divulge personal or sensitive business information in an email. Even if it appears to be from a trusted source, it could be a hacker impersonating another person or group. Only share personal information on secure websites or over the phone. Never click on links or open attachments from unknown sources. In addition, encourage employees to think twice about what they post online. Ensure that your company’s security software is up to date. Firewalls and antivirus software can help protect against spear phishing attacks. 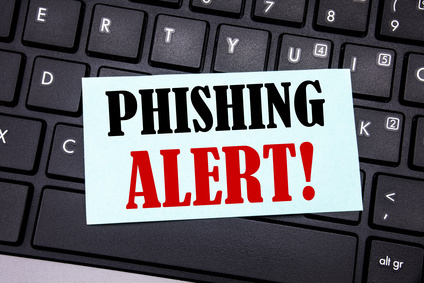 It’s important to encourage employees to be overly cautious when it comes to preventing phishing scams. Together, these strategies can go a long way toward keeping your business safe.